Trinity Mirror has announced a new editorial structure for its enlarged regional business following its takeover of rival publisher Local World. The company, now the UK’s biggest regional publisher, has decided to implement its regional editor-in-chief model across the whole business as it moves to integrate the LW titles within a single combined operation. It means the creation of six new editor-in-chief roles covering the former LW titles in Humberside, the East Midlands, Bristol and Gloucestershire, the South West, and the South East. The changes, which were announced to staff today, also bring to an end Alan Edmunds’ 14-year editorship of the Western Mail, as he moves to become the full-time deputy to TM’s regional editorial director Neil Benson. Alan, left, will remain editor-in-chief for South Wales for now but will relinquish the editorship of the Western Mail which he first took on in 2002. South Wales Echo editor Catrin Pascoe takes over as the new Mail editor, with her role going to Tryst Williams. Today’s announcement sees Neil Hodgkinson, editor of the Hull Daily Mail, promoted to regional editor-in-chief for Humber and Lincolnshire, overseeing the Grimsby Telegraph, Scunthorpe Telegraph and Lincolnshire Echo as well as the Mail. Steve Hall becomes editor-in-chief of the Derby Telegraph, Nottingham Post, and Leicester Mercury in addition to his role as managing director at Derby. In the South West, Bristol Post editor Mike Norton expands his role to take in the Gloucestershire, Somerset and Dorset titles, while western Morning News editor Bill Martin becomes regional editor-in-chief for Devon and Cornwall. Completing the line-up are Cambridge News editor Paul Brackley, who will oversee an expanded Cambridge, Central and East region, and Ceri Gould, who moves from Wales Online to take charge of the enlarged Trinity Mirror South region. In the West Midlands, Marc Reeves expands his role as editor-in-chief of TM’s Birmingham and Coventry titles to include Stoke daily The Sentinel and the former Central Independent Newspapers weeklies, which include the Tamworth Herald. Taking over from Ceri as editor of Wales Online is Paul Rowland, currently digital development editor. The rest of TM’s regional operations are unchanged with Darren Thwaites continuing as North East editor-in-chief, responsible for Newcastle and Teesside, Alastair Machray as editor-in-chief North West and North Wales, and Rob Irvine as editor-in-chief Manchester and Huddersfield. A new structure of regional MDs has also been put in place, with Mike Pennington taking charge of Humber and Lincolnshire, David Simms the East Midlands, Michelle Gesell the West Midlands, and Simon Edgley the Southern region. Mark Sainsbury, previously LW regional director for Devon, Cornwall and South Wales, becomes South Wales regional managing director for the enlarged business, with a new Devon and Cornwall MD to be appointed in the coming weeks. 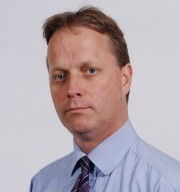 All the regional MDs will report to Steve Anderson Dixon, chief operating officer for Trinity Mirror Regionals. All of these are crucial senior roles whose incumbents will ensure a stunning level of quality across the titles, both in terms of insightful journalism and striking professional news photography… oh, hold on a moment. Damn! I’ve put my foot in it again. Editors-in-Chief covering geographic regions. And to think the ‘new brooms’ who took over Northcliffe with a lot of noise dismantled a similar structure as their first act. The big beasts secure in their roles as reporters, subs and snappers reduce in numbers in their newsrooms. What proud journalists they must all be. Looks like TM is getting its act together. Sensible appointments and the re-introduction of Regional MDs – looks like TM will now have people who actually know what they’re doing getting back to running things locally. Smart moves, let’s hope they work and that it is not too late to salvage things. What are you TM bods doing reading this? You have numbers to hit – get back to it! Congratulations to Steve Anderson Dixon and Steve Hall, who , I know from personal experience, are first-class operators, rather than mere figureheads. How will the roles change for the daily editors? So it’s all about ad revenues and keeping advertisers happy then? So many chiefs, so few Indians and hardly any audience left to speak of do let’s just package up the unconnected papers and trade on the numbers game. Good luck to the poor sap coming into the Devon and Cornwall business as new MD and surveying the carnage, sorry legacy, left behind. Sorry, but I’m totally confused, so many editors group editors and assistant editors that the family tree for this company must look like a forest, i am from an age where there were staff and an editor and things seemed to work out fine, we had photographers taking superb pictures,ad reps who actually sold adverts as opposed to knocking them out cheap at the last minute and a board we could trust and rely on to steer the business through tricked times into calmer waters,couple this with reporters who knew their patch and were respected in the communities,editors who fought our corner and readers who appreciated the depth of local coverage and quality of the papers and business was booming. look at today’s modern media landscape and how people access news, and overlay it with the dire state and cheap and nasty level that the regional press has come down to and it’s no surprise that the U.K. Regional press is on its knees. If increasing cover charges,relying on RGC and hacks with a camera phone,crying to their local MPs about being hard done by and adding more and more layers of editors is the best they can come up with we might as well all sign off and go home now. Company takes over other company. Is there any chance that HTFP and others will consign the word Humberside to the bin, as it was in local government 20 years ago this year? How long does it take to adjust? We would welcome a more frequent Lincolnshire Echo with fewer irritating adverts on its website. Re your last comment – they finally pulled the plug and went down the plughole. An I-phone and photographer’s Press pass to the winner. Commenters complain when people get the sack… then complain when positive industry news hits the shelves. “By aligning the regions to better fit our publishing footprint…..” What the hell is this supposed to mean? Is there a translate button so people know precisely what Trinity Mirror mean? Some people commenting on here really are pathetic. This looks like a sensible (if actually still a little heavy) structure with a decent level of local control. Trinity should be applauded for that shouldn’t they? JP on the other hand have two MDs. How interesting to read the comments from obvious TM audience ‘plants’ and the older hacks who have seen it all before. Like Former TM regional journo,. I just cant wait to witness ‘the improved reach and response ‘ better fitting the publishing footprint. They need QuikFit fitters rather than writers, photographers (what are they?) and subs. Voice of reason: I wholeheartedly concur that “some people commenting on here are pathetic”. That’s totally reasonable. Perhaps voice of reason, UK might like to give us a little listicle of ten good reasons why why we should be applauding TM. No, mate, we are not pathetic, just totally disillusioned with the shambles the regional press has become. I’m impressed at the number of women and ethnic minorities represented in Trinity Mirror’s regional editorial hierarchy. Eleven out of 12 (editorial director and editor-in-chiefs) are white, middle to old-aged men. Nice reflection of society. Oh Hetty, perhaps we should promote people solely on their gender or colour of skin? I’m sure you know I’m not suggesting that, DAVE. But I do feel there’s untapped readerships out there, in print and online, and I’m not convinced older, white men are the only folk who understand what’s wanted. Diversity. Just saying.